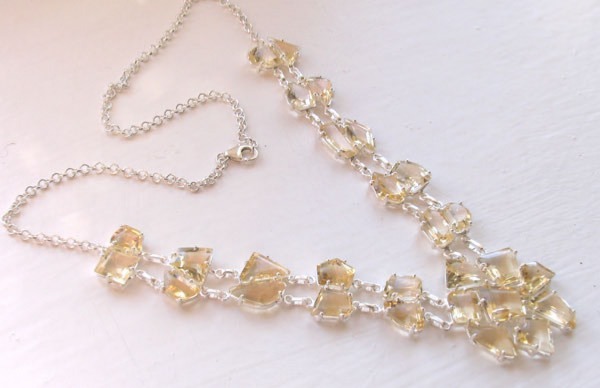 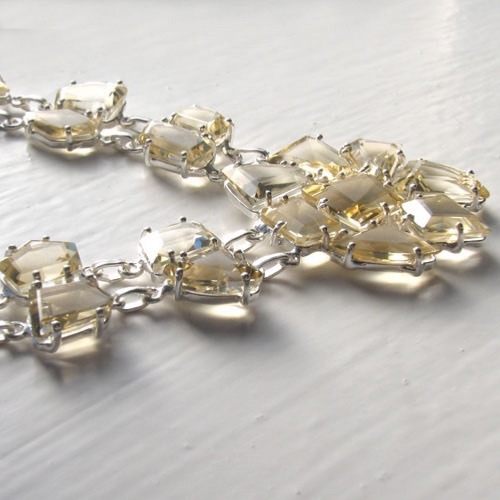 Statement citrine necklace in sterling silver. 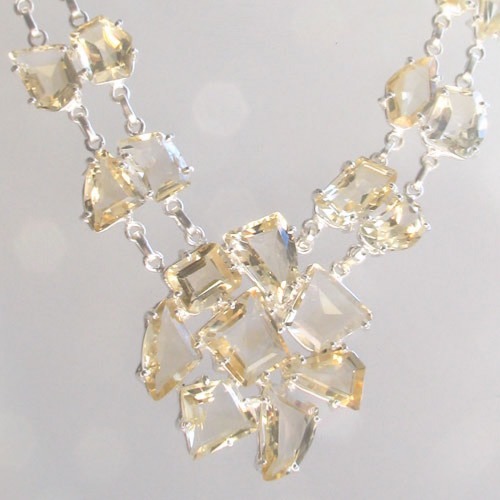 This citrine pendant necklace is a beauty. 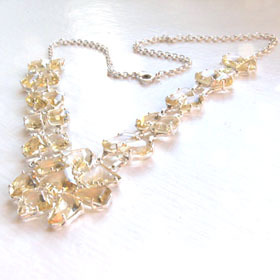 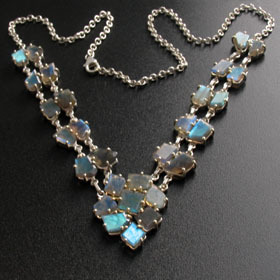 In shades of pale gold, flawless and with glittering brilliance, these gemstones combine to create a superb necklace. 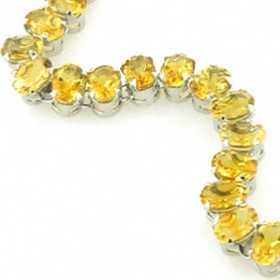 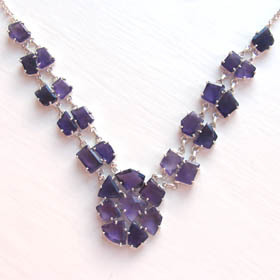 The citrines are asymmetrical and each necklace is unique. 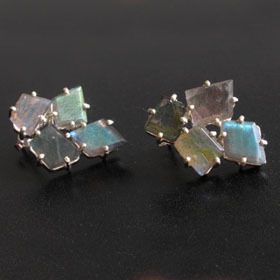 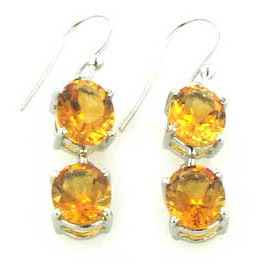 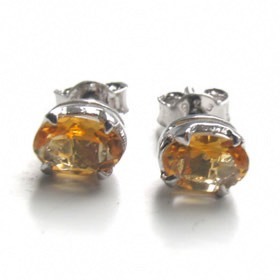 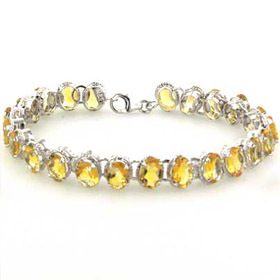 Each citrine is claw set in sterling silver with an open back to allow light through the stone. 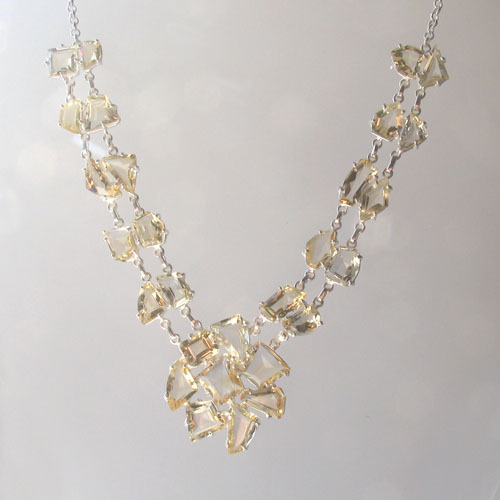 The necklace is finished with a belcher chain and fastens with a lobster claw clasp. 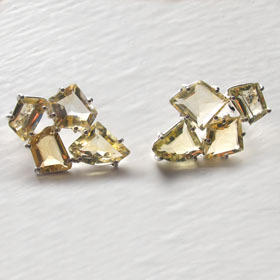 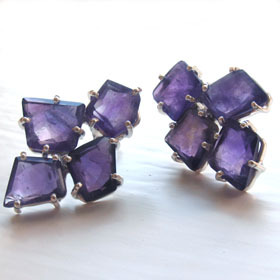 See the matching citrine cluster earrings Amelie.